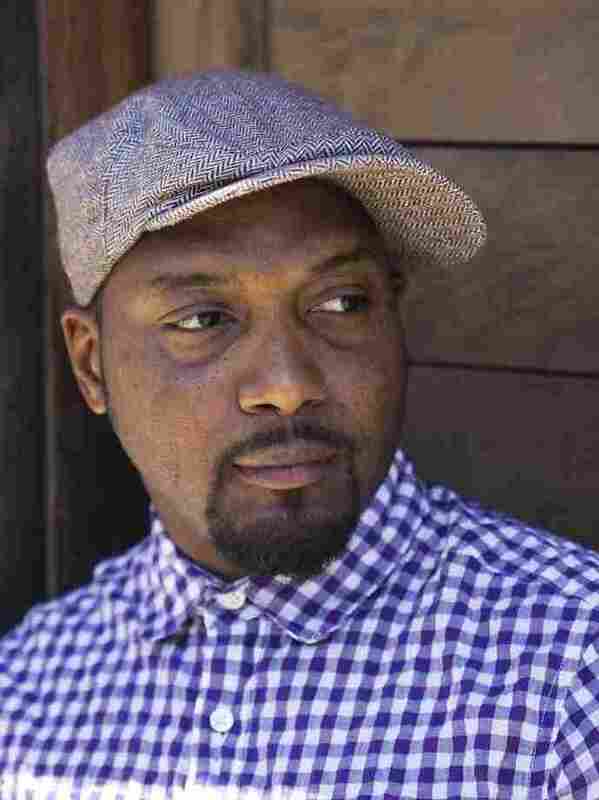 Interview: Bryant Terry, Author of 'The Inspired Vegan' | Chef Gives Vegans Multicultural Flavor Chef and author Bryant Terry is on a quest to popularize the plant-based, vegan diet. Inspired by his own family's roots, his latest project involves blending African- and Asian-American cuisines. In his 2009 book, Vegan Soul Kitchen, Terry took the meat and dairy out of a food tradition generally known for its pork, fried chicken, buttermilk biscuits and egg custard pies. 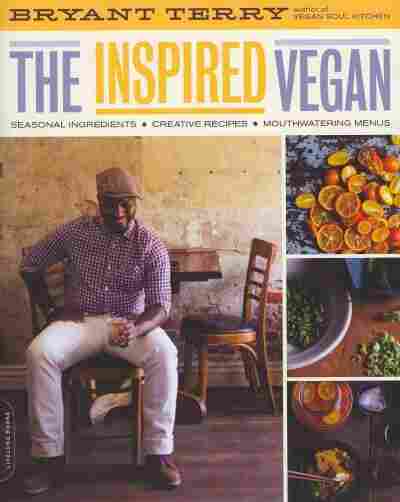 His latest book, The Inspired Vegan, delivers instructions for getting the most out of a vegan meal, along with a soundtrack to listen to while you're doing it. He joins NPR's Renee Montagne to discuss his style of vegan fusion cooking and to share some decidedly delicious vegan recipes for the holidays. "Obviously, when people hear vegan and soul food, they think that it's oxymoronic — how diametrically opposed can those things be? But for me, my goal with the book was really helping to refocus people's attentions on the origins of African-American cuisine. 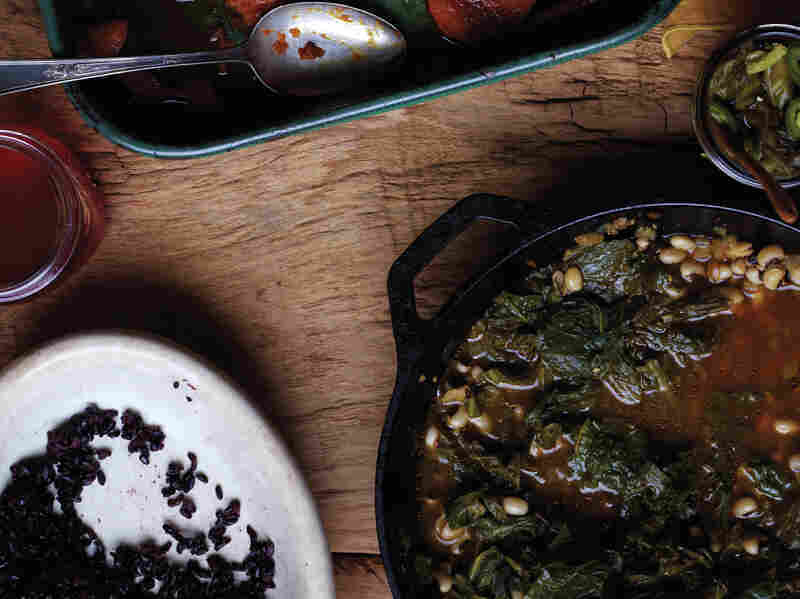 And when we move past the kind of comfort foods and looked at the kind of daily diet that many African-Americans in generations past would enjoy, it is replete with these nutrient-dense leafy greens — collards, mustards, turnips, dandelion greens, legumes such as butter beans and black-eyed peas. These are the nutrient-rich foods that any dietitian or nutritionist would say we all should be eating. So I really wanted to help paint a more diverse and complex picture of African-American cuisine." Bryant Terry is a chef, food justice activist and author who lives in Oakland, Calif.
"This Candied Sweet Potatoes recipe is one of the dishes that is part of this emerging kind of food genre that my wife and I have been cultivating, which is Afro-Asian cuisine. My wife is Chinese-American and we like to bring together our different cultural food ways. 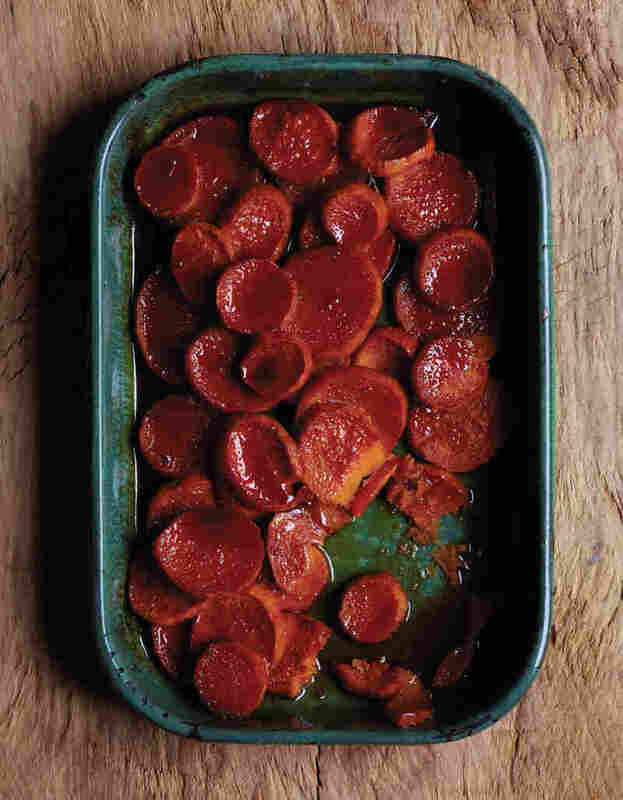 So this candied sweet potato is kind of a staple dish in African-American cuisine, especially during the holidays, and I decided to kind of give it an Asian twist by adding tamari and miso, which are two staples in Japanese cooking." "When my wife and I met she was actually a vegan, and then she got pregnant. We often joke that she turned into a cavewoman because she started eating all types of — she was eating everything, chicken and beef. And my wife continues to eat chicken and some eggs and fish, so, you know, it's a compromise. Our daughter does have a mostly plant-based diet, but she eats eggs and sometimes she has fish maybe a couple times a week. So, you know, we think this is the best diet for her, and at a certain point, she'll be able to make the decision about what kind of diet she wants to continue having." "The lore is that the black-eyed peas actually represent copper or pennies. And so along with that, one typically will have a green dish such as collards, mustards, turnips, chard, kale or cabbage, and the leafy green dish actually represents money. And then with that, one might have some cornbread, which represents gold. You eat it on New Year's, and it's supposed to usher in a very prosperous and abundant year." In a medium-size saucepan over high heat, combine the black-eyed peas with the kombu and enough water to cover them by 4 inches. Bring to a boil. Skim off any foam, lower the heat to medium-low, and simmer, partially covered, just until tender, 50 minutes to 1 hour. Add 1/4 teaspoon of sea salt for the last 10 minutes of cooking. Drain the beans in a colander, reserving 2 cups of cooking liquid. Set the beans and liquid aside. In a medium-size saucepan over high heat, bring 3 quarts of water to a boil and add 1 tablespoon of salt. Add the greens and boil, uncovered, for 3 to 5 minutes, until softened. Drain in a colander, and set aside. In a large sauté pan or a medium-size saucepan over medium heat, combine the olive oil, onion, ginger, red pepper flakes, and 1/4 teaspoon salt, and sauté, stirring often with a wooden spoon, until softened, 3-5 minutes. Add the garlic and cook, stirring often, until fragrant, about 2 minutes. Add the reserved greens and stir to incorporate. Stir in the vegetable stock, the reserved black-eyed peas, and the reserved bean liquid. Raise the heat to high, and bring to a boil. Cover, lower the heat to medium-low, and cook, stirring occasionally, until the greens are tender, 30-45 minutes. Stir in the sesame seeds, season with tamari sauce to taste, and serve along with a whopping dollop of Quick-Pickled Mustard Greens to add some heat and tang. Excerpted from The Inspired Vegan by Bryant Terry. Copyright 2012 by Bryant Terry. Excerpted by permission of Da Capo Lifelong Books. In a large bowl, toss the sweet potatoes with 1 tablespoon of the sesame oil. Remove the sweet potatoes from the oven and lower the heat to 375°F. In a medium-size bowl, whisk together the molasses, tamari, maple syrup, miso, orange juice, lemon juice, lemon zest, water, and the remaining tablespoon of sesame oil. Pour over the sweet potatoes.